Are you in search of a professional canine supply for bite training? Would you agree this item must be safe for your dog's health? 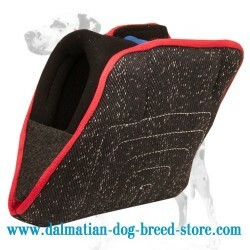 Take a look at this Dog Grip Builder for Advanced Dalmatian Training! This excellent dog training item is produced according to the highest international standards. That means, it will serve you for a long time, won't hurt your pet's teeth and will provide you with utmost comfort! if used properly. Don't hesitate to get this Durable Bite Builder and be ready to feel the difference! Even if you are not a professional dog trainer, it's not a reason for you not to try training your doggie. Using this Bite Builder training your dog will be a pleasant and exciting event! 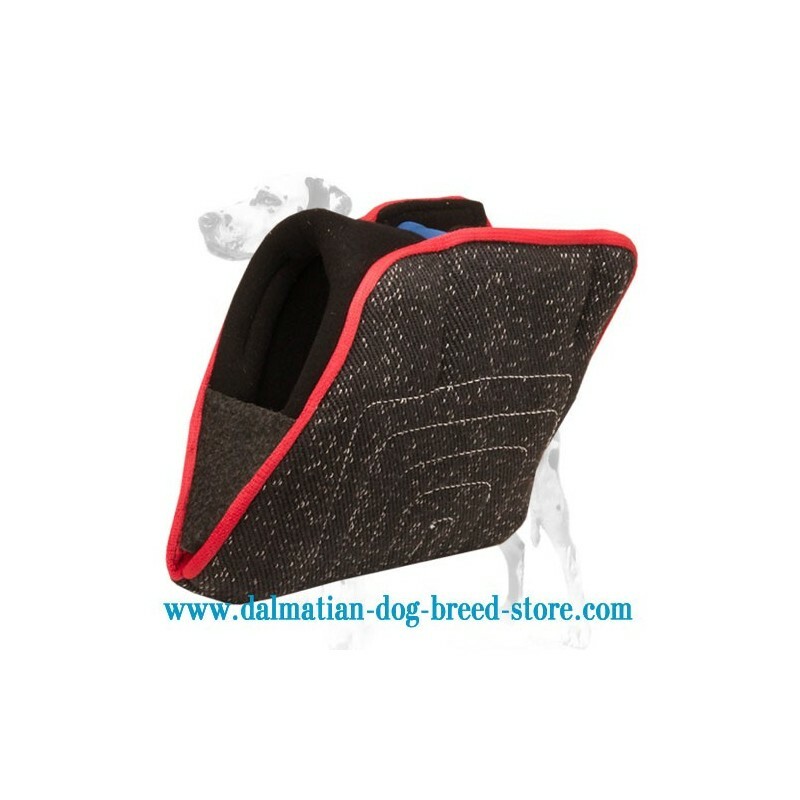 This item is intended for your dog's prey drive training, to develop his / her attack instincts, to strengthen bite grip and its better position. For your comfort this bite builder is equipped with 2 sturdy handles; they are padded to prevent rubbing on palms and provide you will confident grab during training session. The supply also has ergornomic design, so you can use it both as a bite sleeve and a bite developer. Reliability is also one of the key features of a good dog training supply. This Bite Builder is made of extra durable French linen. This material is well-known for its strength and tear-reisintance, but in addition, it is stitched with nylon thread for even better reliability.